Imagine you are diagnosed with cancer. You receive all of the available treatments, yet your cancer remains unaffected. With new hope, you find a promising clinical trial in a neighboring state and you undergo several tests to evaluate if you can qualify over multiple weeks to participate in the clinical trial. After hours of blood tests, and complex clinical explanations by your care team, you finally arrive home wishing for extra support and guidance. By the time you qualify for the drug, you are exhausted and fail to ask the right questions when you are with your doctor. The guidelines of your clinical trial are packed with medical jargon that you don’t understand. Despair and frustration kick in. The patient burden in clinical trials is high. In fact, only 5% of patient participate in clinical trials and of those that enroll 30% drop out. The goal to develop novel drugs and to enhance cancer research seems to be doing the exact opposite. 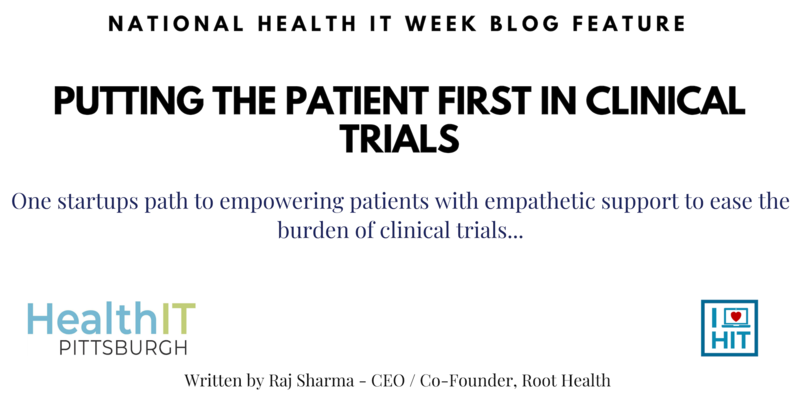 That is why we created Root Health – to empower patients with empathetic support to ease the burden of clinical trials and to prevent dropout. Root Health is a virtual clinical trial assistant that cares for patients and answers their numerous questions in a simple way – even in the middle of the night when patients are scared and alone. 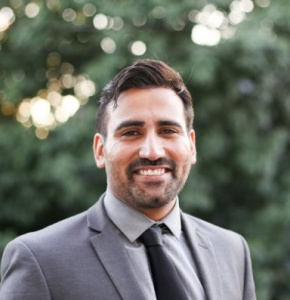 Through action oriented smart messaging, Root assists patients in following their clinical trial protocols; it captures patient reported outcomes, schedules their appointments, and helps arrange transportation to clinical trials. Root even rewards patients for following through with their protocols. More importantly, Root builds a relationship with each patient and helps them feel cared for during the most vulnerable time of their lives. In 2018, 1.7 Million people were diagnosed with cancer for the first time. Concurrently, ten thousand trials will recruit thousands of patients into clinical trials to create potential lifesaving cancer drugs. However, 85% of clinical trials fail to retain enough patients. For pharmaceutical companies, drug development that overruns its timeline can result in up to $8M lost revenue per day. More importantly, delays in drug development can prevent life-saving therapeutics from ever making it to market. The benefits of pairing health information technology and therapeutics is immeasurable. At Root Health, we put the patient at the heart of everything we do. We scale personalized, compassionate care in clinical trials throughout the world, because for us, the bottom line is the patient. The Root Assistant will be able to be expand globally and be localized through language and culture. It will capture new sources of patient data like patient emotional well-being, food-drug interaction, and capture patient interactions with medications outside the clinic setting. It will also support adaptive clinical trials and improve the likelihood of success. In an ever-evolving technological landscape, Root will serve as a fluid conversational interaction from the patient’s home to their car. In an industry driven by data and measurement, the impact we gauge first is on patient lives. Patients are the heart of medical research. Their tissue, their blood, their genes are used for medical research not for themselves but for generations to come. At Root Health, we strive to honor their participation and willingness to help appropriately.